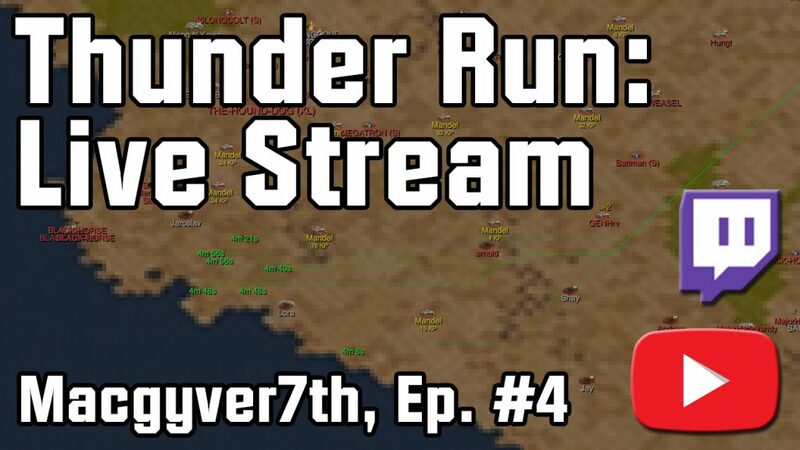 Join Professional YouTube personality MacGyver7th on Episode 4 of his journey through the wargrounds of Thunder Run: War of Clans! Livestream starts at 23:00 GMT (4:00pm PST / 7:00pm EST)! Livestream will be accessible via Macgyver7th’s YouTube and Twitch channels. Battlehouse Community Manager will be active in the comments of Macgyver7th’s Livestream to answer player questions and take player feedback. Do you run a newbie friendly clan that you think might be a good fit for Macgyver7th? Introduce yourself in his Livestream comments and try to recruit him! See you in the Livestream, Commanders!